Another forgotten brand has been resurrected. In the immortal words of Rudy Ray Moore, "Can You Dig It?" 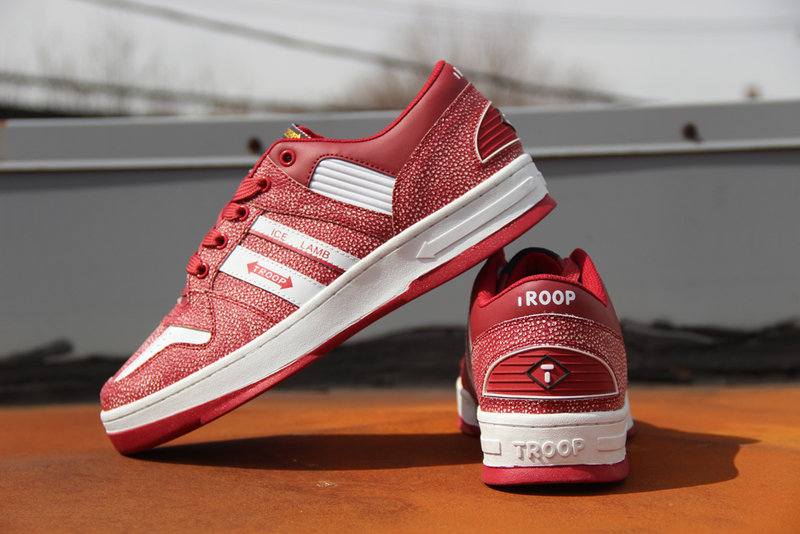 After a few failed comeback attempts, the brand World of Troop is set to return. This time around, it's are backed by the same people who grew up with Troop and understand what the brand means. 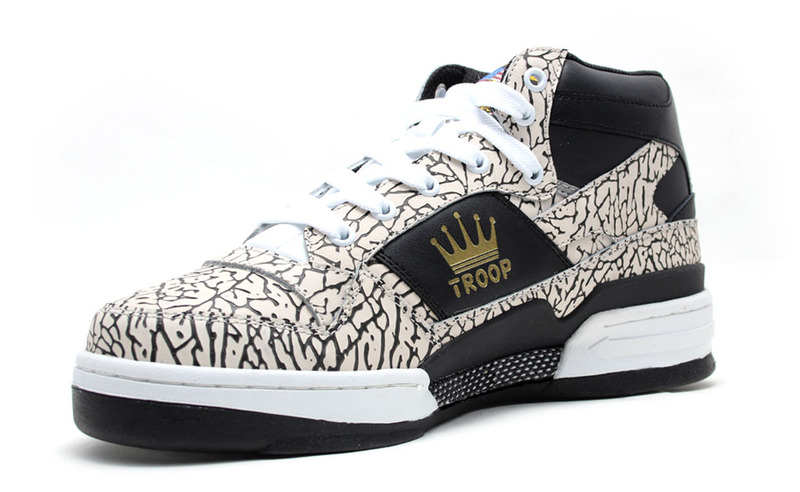 World of Troop first burst onto the scene in the mid-80, and was often looked at as an urban high end brand, mainly worn by trend setters of the time such as LL Cool J. World of Troop is set to kick things off with a new website, followed by original colorways of the Ice Lamb Low and the Pro Edition Mid. 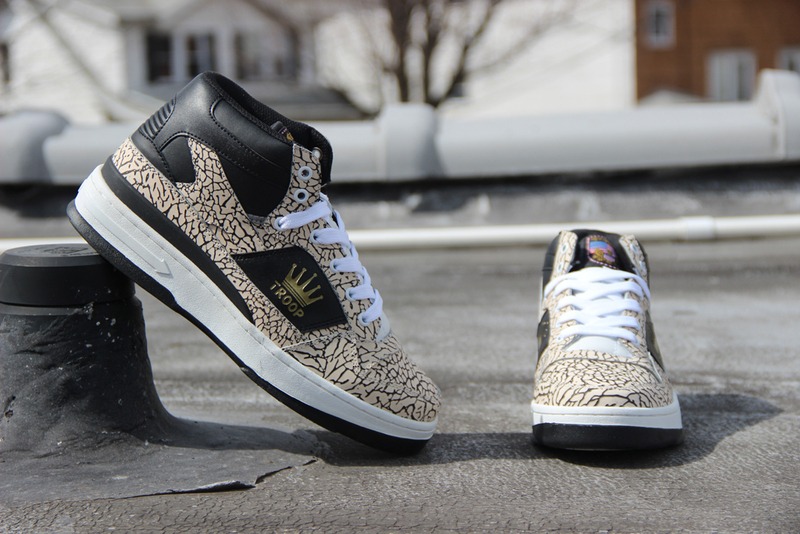 Both pairs originally released in the 1980s are true to the OGs, in terms of shape, quality and materials used. 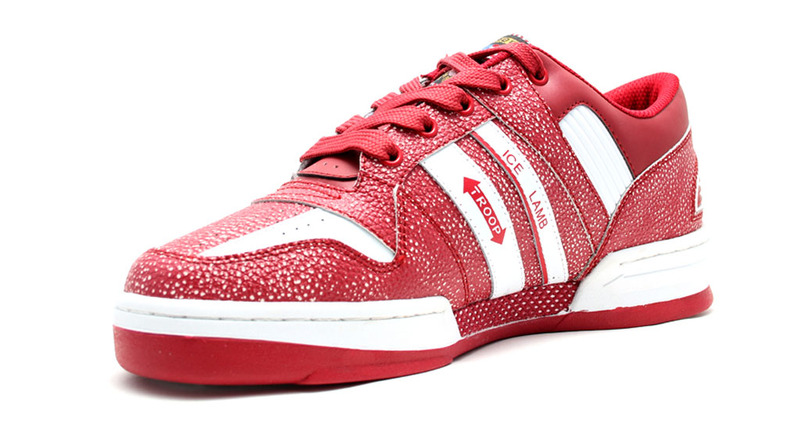 The Ice Lamb Low comes in red and white, and the Pro Edition Mid in cement, black and gold. Both the Ice Lamb Low and the Pro Edition Mid are available now at worldoftroop.com and select World of Troop retailers worldwide.